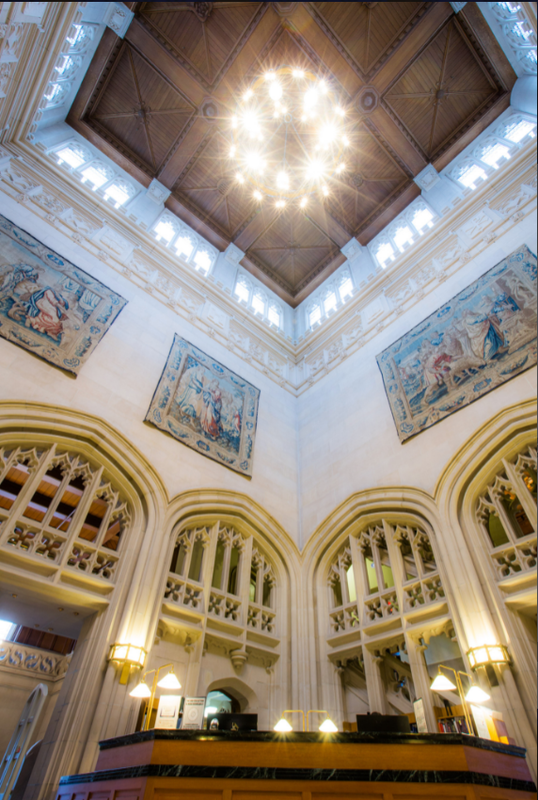 The Vassar College Libraries participate in the educational mission of the College by providing a basis for open inquiry and research in the arts and sciences as well as by providing an informational framework for the instructional activities of the teaching faculty. The mission of the College as it was stated in the First Annual Catalogue is: "to furnish the means of a thorough, well-proportioned and liberal education." This mission is expressed today in the Vassar College Mission Statement, which defines qualities of inquiry, knowledge, imagination, and social and historical consciousness that Vassar seeks to develop in its students, and places a premium on "the immediate experience of creative ideas, works of art, and scientific discoveries" in this endeavor. The fundamental importance of the library to the educational mission of the College was recognized by the original Trustees of the College in the first Report of the Library Committee on February 25, 1861 where they specified that the new library should be developed with "as much completeness and perfection as possible" by creating collections of the best works obtainable in the arts and sciences. Vassar College has fulfilled the aspirations of its founders by developing and supporting an exceptional system of libraries with deep and expansive collections, extraordinary physical facilities, and a staff of professionals and para-professionals committed to strengthening these collections and providing services that promote their most effective use. Today, changing technologies that affect the way information is produced, stored, and disseminated furnish new opportunities for providing students and faculty with the most complete and perfect access possible to the rapidly-expanding universe of learning. To secure this access, librarians are developing new methodologies for assessing, maintaining, mapping and delivering information as the instruments of intellectual transmission evolve. To cooperate closely in the performance of these activities with other participants and stakeholders in the educational enterprises of the College. The Library management group has developed a set of guiding principles that, in addition to our mission statement, will provide a framework for our planning and decision-making in the next five years. We will provide a high level of service that is consonant with the prevailing needs of the community. We will develop the collection to reflect the pedagogical needs of the faculty and students. We will facilitate access to and delivery of resources/information that are essential for student and faculty research. We will consider current pedagogical needs in the selection of materials to be housed on campus. We will organize the physical campus collection to enhance browsability. We will provide an appropriate environment for users and materials. We will preserve our resources for current and future users. We will employ data in our decision-making processes. We will leverage technology to assist in achieving all of the above.